The weather has changed into the Fall, marking a new school year is about to start. 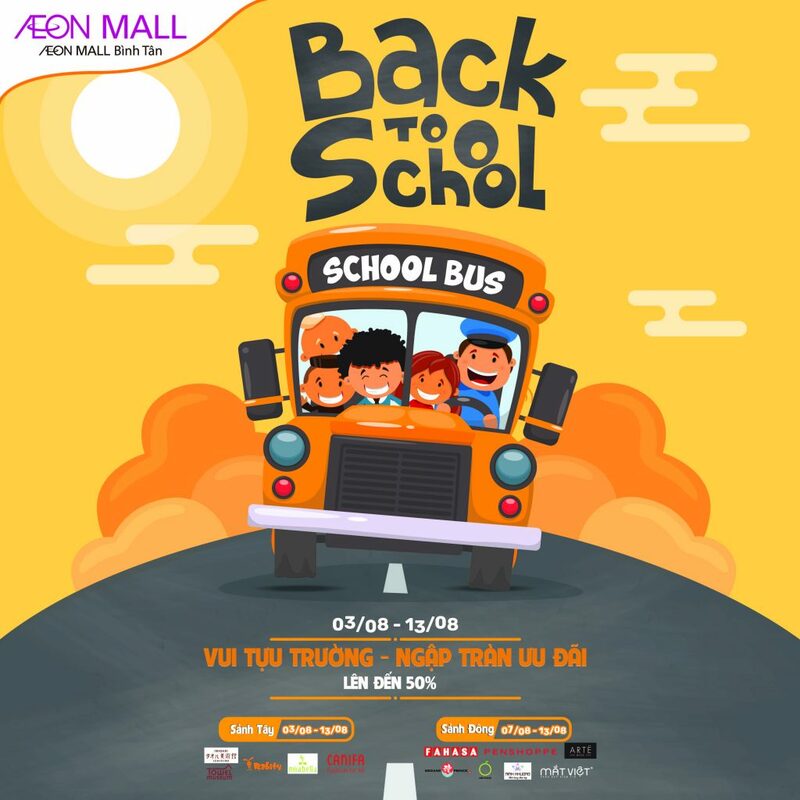 Welcome the Back To School season, AEON MALL Binh Tan is getting ready to accompany with all students and parents in the Back to school campaign with the promotion up to 50% ++ from many tenants at two main courts. Welcome the Back To School season, AEON MALL Binh Tan is getting ready to accompany with all students and parents in the Back to school campaign with the promotion up to 50% ++ from many tenants at two main courts. West Court: from 3rd August to 13th August: Towel Museum, Rabity, Mirabella and Canifa. East Court: from 7th August to 13th August: Fahasa, Megane Price, Arte, Ninh Khuong, Penshoppe, Lime Orange and Mat Viet. And many other special promotions, please click here for more information. 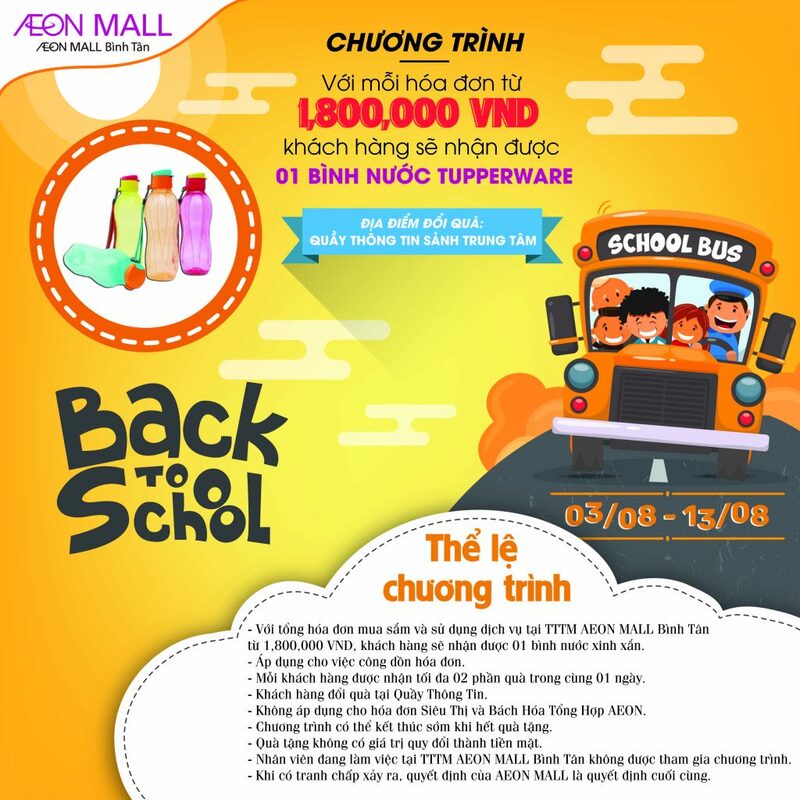 Besides, with each shopping bills worth from 1.800.000 VND at AEON MALL Binh Tan shopping mall, customers will get a nice water bottle from the sponsor Tupperware. Getting ready for back to school season, let’s come to AEON MALL Binh Tan and enjoy the big promotion!